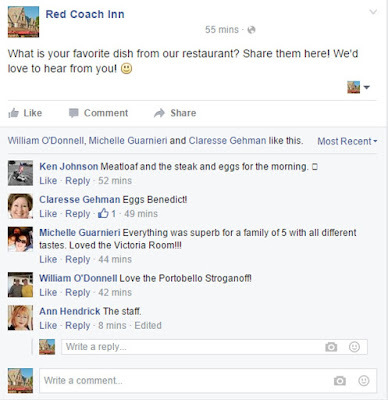 We have taken over social media! As you know, we have our own website and blog.. but don't miss our updates on our Facebook page, too! Follow us for real time and day-to-day updates about the inn and restaurant. We also post pictures and talk to our guests there. Today's topic is about our guests' favorite dishes. 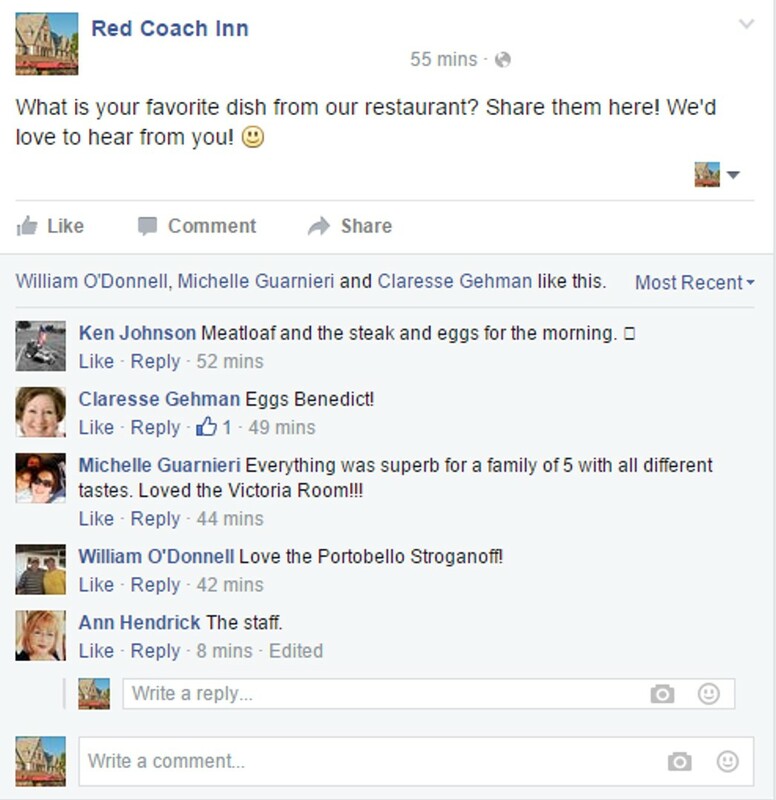 We are absolutely thrilled with all of our guests' responses! Keep 'em coming! Please visit our Facebook page and interact with us. Join us in our discussions, share photos, and leave us comments! You can also write us messages and reviews. In the early 1800s, it was established by the French that Niagara Falls is the perfect honeymoon destination when Napoleon Bonaparte's brother, Jerome Bonaparte, traveled from New Orleans to have his honeymoon in Niagara Falls. It was said that he returned from his trip with nothing but great reports about the destination. Then with the opening of the Erie Canal and the establishment of railways and other accessible roads, Niagara Falls has become the "Honeymoon Capital of the World". In addition to that, Niagara Falls is also quickly becoming an ideal wedding ceremony destination. With the vast open fields, lovely gardens, historical buildings, and of course, the amazing waterfalls--Niagara Falls is indeed on top of the list for wedding and honeymoon destinations. We are very proud to say that a lot of brides, grooms, and honeymooners have chosen to make the Red Coach Inn a part of their big day. Wedding dresses, tuxedos, flowers, and happy families are definitely a usual view at our inn and restaurant. 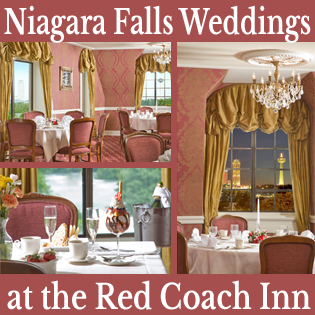 If you are one of the many couples that are looking to come to Niagara Falls to celebrate marriage and love, check out what Red Coach Inn has to offer. We have different private banquet rooms where you can hold your ceremony or reception. Wedding parties can also stay at the inn, especially if you are having a destination wedding. We have large apartment-style suites that can accommodate families or groups. Also, with our uniquely decorated rooms and suites, and historical building, couples enjoy doing their photo shoots at our inn. On top of all of these, we offer packages you can add to your stay. Roses, champagne, chocolates, and an intimate dinner at our restaurant will complete your whole experience. So whether you are celebrating your honeymoon, or your 1st or 50th wedding anniversary, come to Niagara Falls, the honeymoon capital of the world! 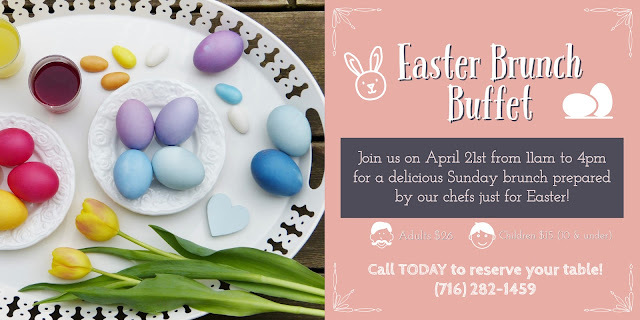 Make us part of this celebration, call us at 716-282-1459 to start planning your wedding or honeymoon. You can also check our website at www.redcoach.com to see more details about our romantic packages.